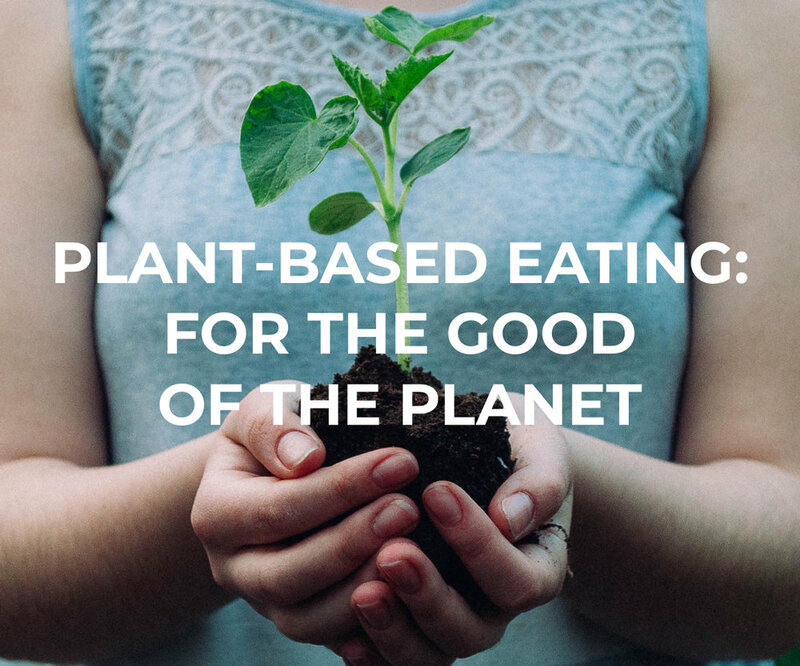 People choose their own path to plant-based eating. Some do it for the health benefits, some do it for ethical reasons, and still others do it for the environmental impact (and for many the answer is D. All of the above). Animals need to eat. Aside from needing land to graze on, they are fed plants and grains. And those plants and grains have to be grown on farms. Creating arable land to grow those crops leads to deforestation, which not only means we lose valuable tree coverage, but it also causes the loss of critical habitat for endangered species. Certain feed crops such as corn require a lot of water to grow, which means farms deplete already low fresh water supplies. Furthermore, the fertilizers and pesticides used to treat crops contaminate soil and run into our waterways. Ick factor alert: Animals eat the food and create waste. Tons and tons (and tons) of it. Manure produces methane gas, which is a more potent greenhouse gas than carbon dioxide. Animal waste runoff further contaminates our waterways, which, combined with chemical runoff, contributes to environmental blights such as the Gulf of Mexico’s dead zone. Basically: instead of farms growing crops for human consumption it goes to feed animals, taxing our natural resources and putting an enormous strain on our environment. All the while, still leaving some 850 million people suffering from hunger (there’s much more to explore around this point, too much to get into here). Here’s how you can do your part to minimize the environmental impact of global food production. When possible, buy organic, sustainably grown and/or local produce. We’ve only skimmed the surface here but there’s a ton of data and research out there. Some info for this post was gathered from the following sources, if you’d like to go down the rabbit hole.